Enjoy romantic dinner with your love or bbq with your friends on the hotel garden. 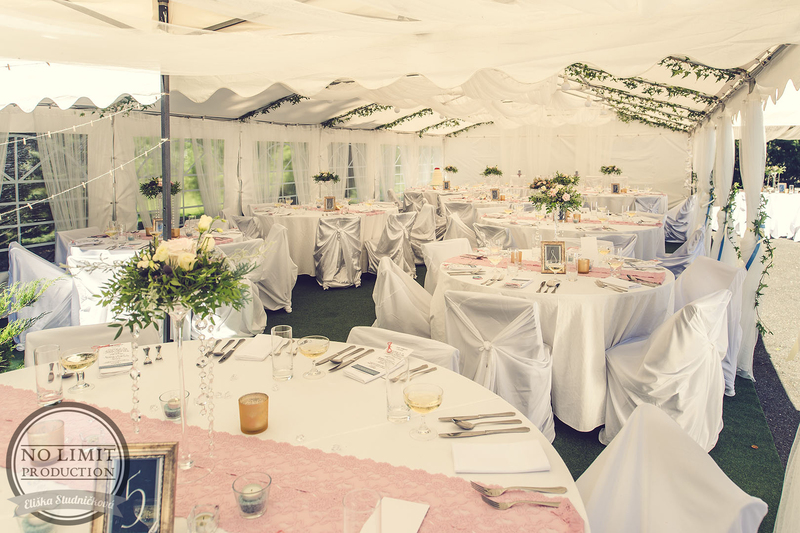 Vila Olga is, with the beautiful garden and party tent, the right place for your business meetings, team buildings or weddings. We are ready to provide you also with the catering service to meet all your gastronomic needs. 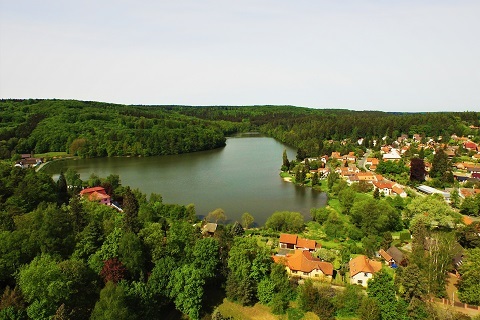 Enjoy wonderful landscape in Jevany and surrounding areas. 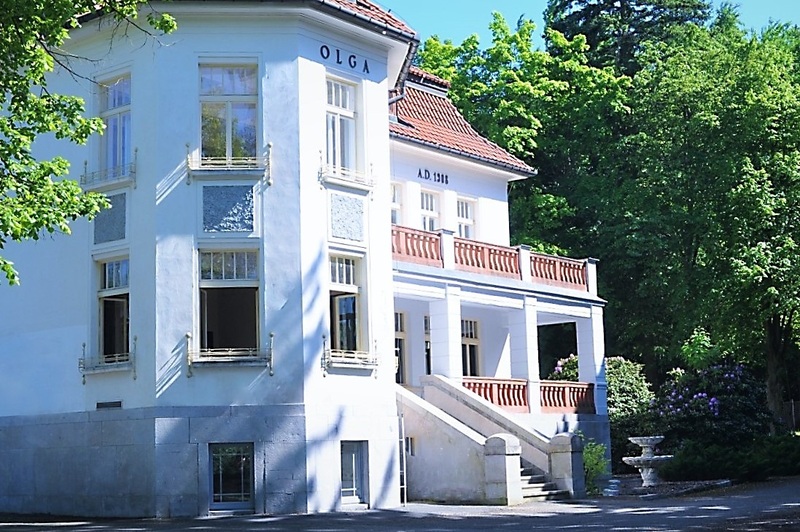 Welcome on page of Hotel Vila Olga! 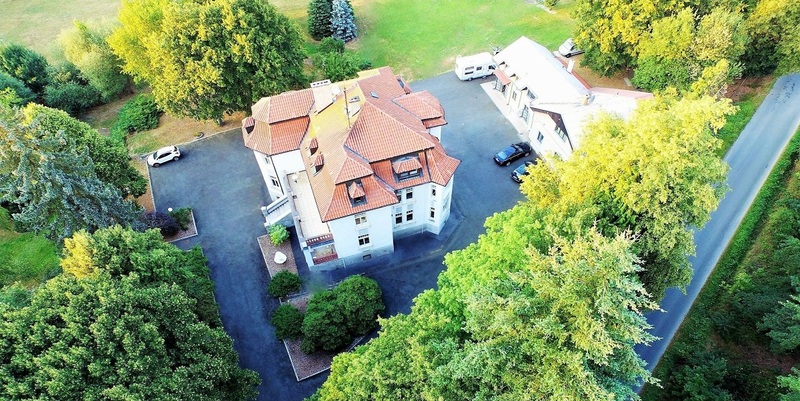 Ideally located in nature preserve Voděradské bučiny in Jevany, Vila Olga is a fully renovated family hotel surrounded by cascade ponds, vast forests and beautiful nature. The hotel offers comfortable rooms with outstanding garden views. 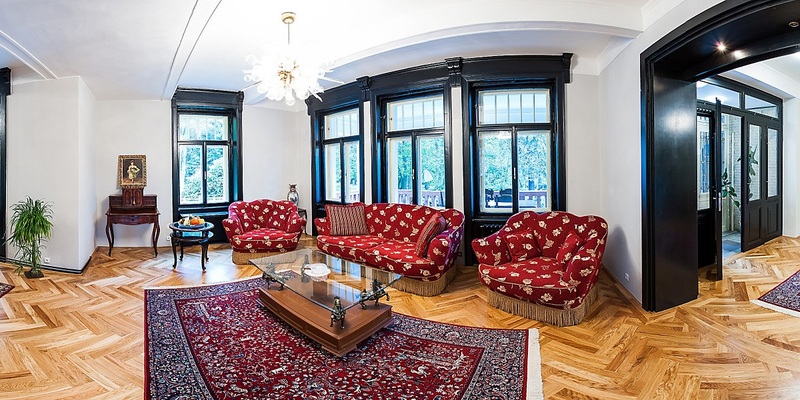 Spectacular Art Nouveau vila is situated 30 km from the city centre of Prague and 35 km from Kutná Hora. There is very good public transport to Prague. All the rooms are equipped with a satellite LCD TV, minibar, desk, free Wi-Fi and a private shower and toilet. Parking is provided in the lockable private hotel courtyard. Prices include rich buffet breakfast. 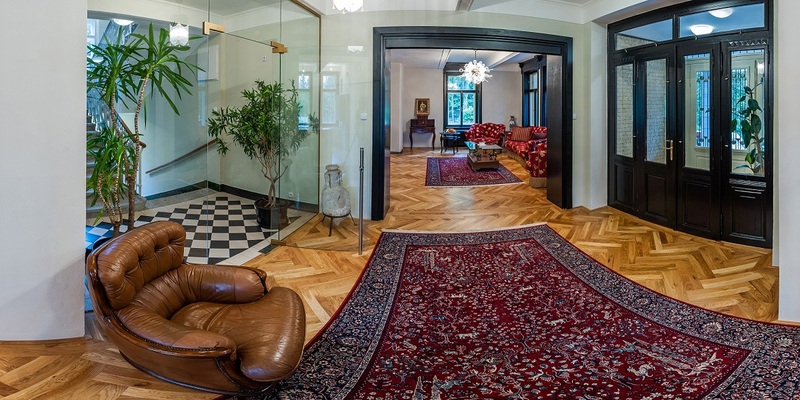 You can also use our private lounge, recreation room or you can just have a drink in the hotel bar. 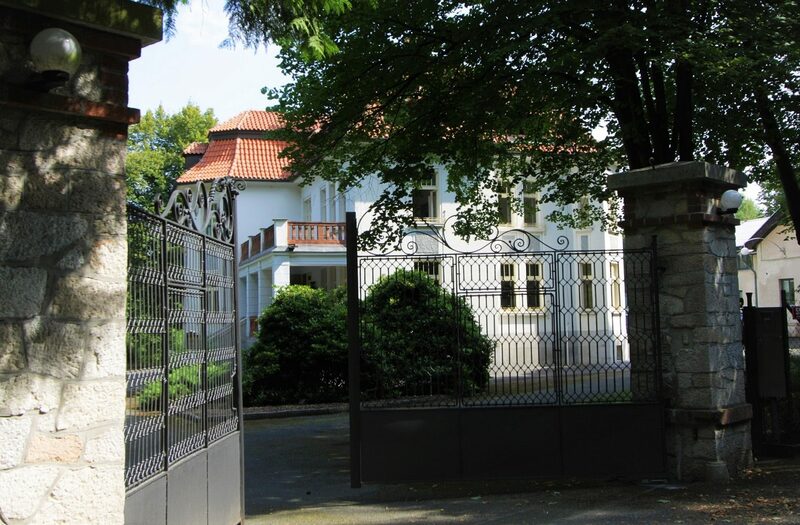 Vila Olga includes a tennis court and a forest garden. In the surrounding area of our hotel there are golf resort, bowling and bicycle trails. The local pizzeria and restaurant are also available in the walking distance. 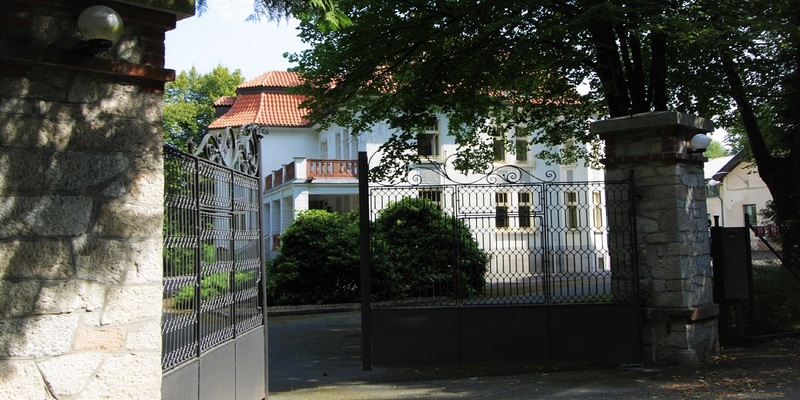 Jevany is a very popular place in the Czech Republic inhabited and visited by many celebrities. Beautiful house and garden, people really friendly, great breakfast. 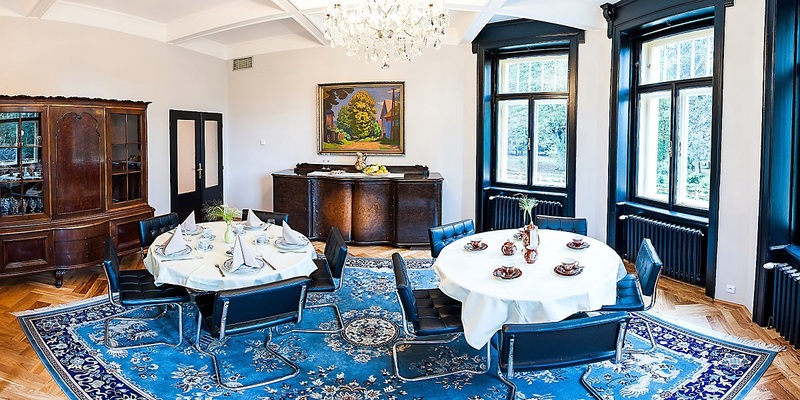 Stayed here just for the one night whilst visiting the Czech Republic, this hotel is wonderful, it is mixed with traditional and modern items, lighting and furniture. The Hotel is set in its own gardens – mainly woodland, with the hosts offering a wonderful breakfast and home comforts. A pleasant way to finish off our trip before heading back to Prague. 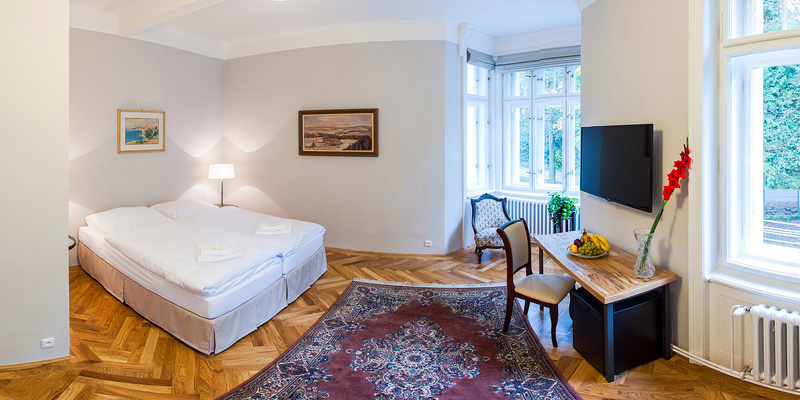 The hotel is cited around 30km from Prague and would be a great place to use as a base to visit Kutna Hora and Prague. Jeannie has a lovely wooded walk and lakeside amenities. This wonderful gem is family owned. The son spoke English, while the parents spoke Czech, fluent German and Russian. The hotel is magnificent. Our room faced the estate with lawns of wooded trees and brushes. The family is warm and welcoming and waived seeing our passports and allowed us to pay for our room as we checked out. The room we stayed in had the nicest bed with crisp ironed sheets and a wonderful duvet that kept me warm and comfortable. 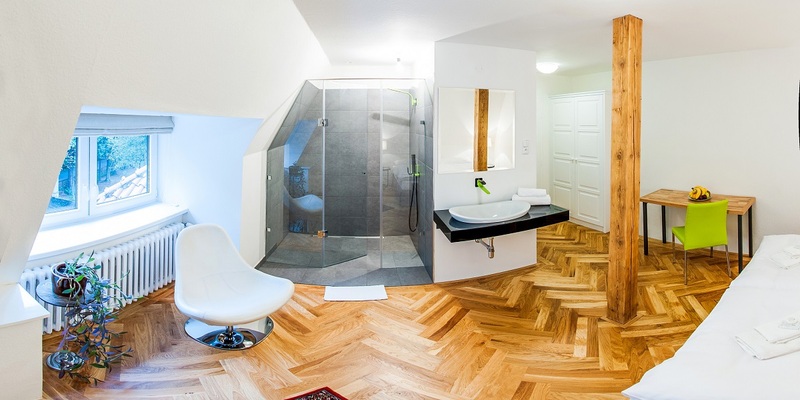 The place is immaculately clean as the new shower was the best without any leakage with nice temperature control. You also feel like a king/queen with the elegant place setting and wonderful individual brewed coffee machine. We loved it when the father, upon our invitation, sat with us at breakfast and we got to chat with him. He understood our English, but could not adequately respond to us (our fault for not speaking any of his languages!). This is a first class experience. We had dinner in a square that is five minutes from the hotel. I had a wonderful bread bowl with goulash soup which is a Czech dish. Cost for my bread bowl was 71 kcs or less than $4!! The family who ran Vila Olga were exceptionally welcoming, and went out of their way to help – allowing us to check-in early and then drive us to a village a few miles away where we needed to go for a wedding and collect us later, as well as arranging for transport into Prague. The breakfast on the terrace was one of the best I’ve experienced in 25 years of travel, and we followed that by a stroll around the extensive gardens and down to the lakeside, which was stunning. 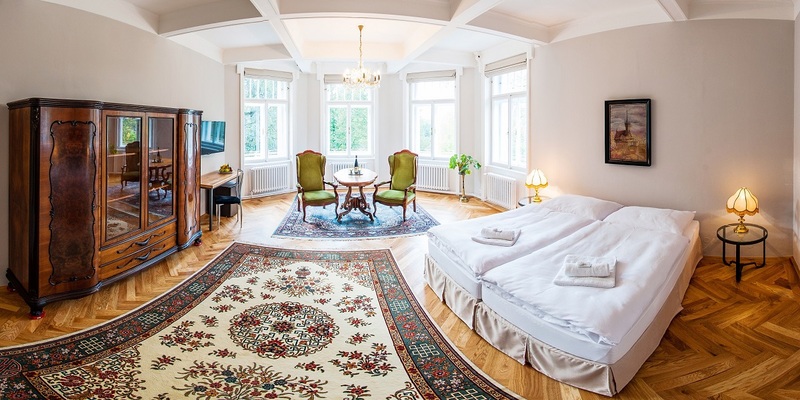 This would be a great alternative option to experience Prague, but stay out in the countryside with a woodland walk on a Sunday, cycle around (or swim) the lake, and experience the best of Czech hospitality in a grand old summer villa with huge light and sunny rooms. Really hope to come back next year for much longer than 1 night….many thanks! Je to krásná vila v nádherném prostředí. Pan majitel je úžasný a splnil nám jakékoli přání co jsme chtěli a poradil nám kam máme jít do restaurací a opravdu jsme byli vždy spokojeni. Personál byl ochotný a pořád usměvavý. Rádi se určitě vrátíme v létě, jelikož zahrada je obrovská a věřím, že v létě bude plná barev a klidu. Všem moooc s mojí manželkou a našim 3 měsíčním dítětem doporučujeme. Je to klidné místo s úžasným prostředím kousek od prahy. 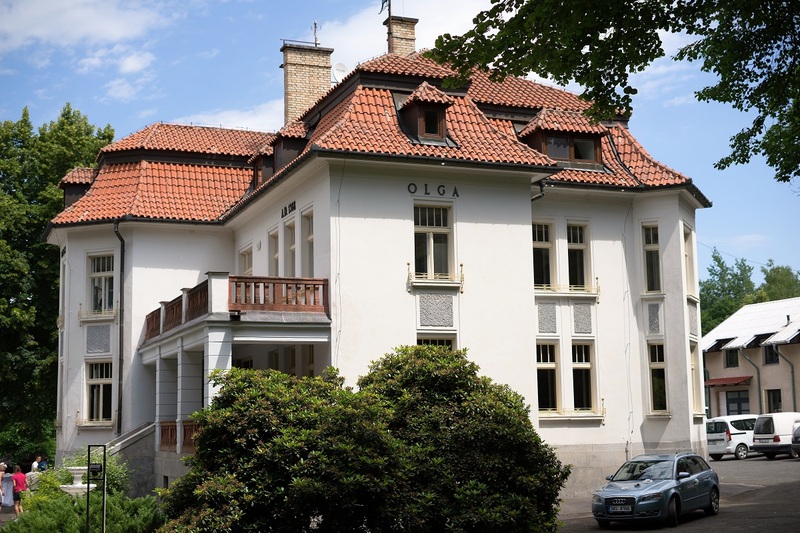 Vila Olga mi nabídla odpočinek uprostřed panenské přírody. Je tu klid a čisto. Vřele doporučuji všem, kteří chtějí uniknout každodenním stresům a užít si houbaření nebo výlety na kole. Byla jsem velmi spokojena.